What fun! What new impressions! What fantastic golf courses! What fine weather! Thanks a lotfor your support in the organisation for our Ireland Golf Tour 2014. 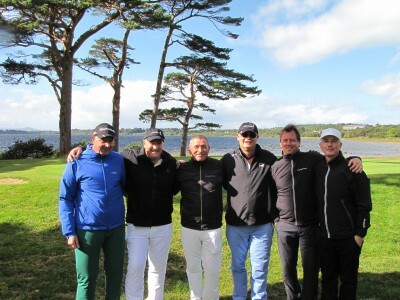 All my friends were very happy and impressed by the very good organisation of the trip to Ireland this year and we’re positively surprised of your personally meeting with us at the 18th hole at Killarney Mahoney’s Point. I’m sure this will not be the last trip I’ll plan with you. Give my best regards to Francis also.